Before the rise of groups like SNSD, BEAST, Wonder Girls, and EXO, artists such as Fly to the Sky, g.o.d., Click.B, H.O.T, and Jinusean laid out the ground work for those who came after them. What the last set of idols mentioned have in common is that they either have had a reunion/comeback within the past two years or they have announced that a comeback will be in their future. To note, acts like Shinhwa don’t fit into the theme because they were continually involved with music even during the quiet lulls. There was a period of mandatory military services plus opening their own company which came with struggling to own the rights to their name. Groups like g.o.d. 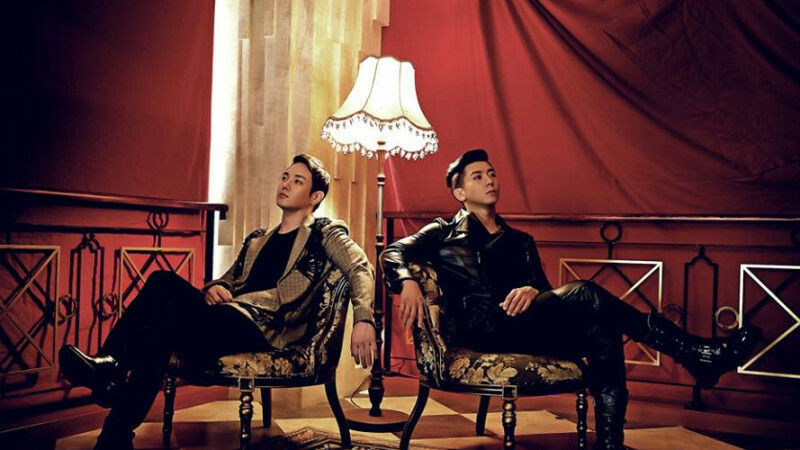 and Fly to the Sky never actually disbanded, but went on what seemed to be a very long hiatus. g.o.d. had their own internal conflicts with Kye-sang, and even when he departed from the group, the foundation under the remaining four was shaky. Most of the members continued music or went on to do other things. The same holds true for Fly to the Sky. There was no official announcement of them breaking up. They went on to pursue solo careers and acting endeavors. It’s almost within the same theme of a subunit: the members might be doing different things, but they were always still a part of the larger group. 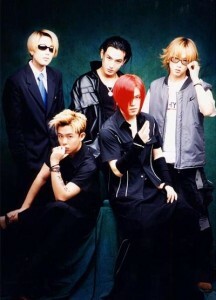 With all the announcements of the older idols coming back, fans waited on the edge of their seats for the slightest hint at a H.O.T reunion. It seemed very unlikely considering light was shed on Tony An’s illegal gambling scandal (which included Shinhwa’s Andy as well). As if the fine, prison, and probation sentences weren’t enough, KBS went as far as to ban anything related to Tony on their network, H.O.T. songs included. All hope was crushed to see the five-membered group back together again. To turn the tables around, talks were announced that a reunion for the High-five of Teenagers would be coming in the future. And with Tony’s recent return to the public eye and celebrity circle, it seems more likely than before. Their comeback may not occur until next year, but it still rides on the wave of the older generation K-pop stars returning to the limelight. But why? It seems a bit coincidental that all of these idols would suddenly start reappearing. Did they miss the industry? Did they miss the thrill and excitement of making music and being able to perform? Perhaps they want to take up the challenge to see if they can fit in or keep up with today’s trends. Or are they doing it to cash in on the memories of the fans? There are different takes to this argument. 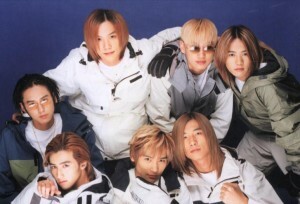 In a time before DBSK and JYJ, a lot of these older generation idols knew the struggles of working for a company. They have had their disputes with their contract holders, discrimination between members, and so many other skirmishes. Now, with their experience that has made them who they are, the road ahead of them is easier in some ways. But the easy way is not always the best way. No doubt for them that there will be trials that lay ahead. For one, the industry has changed a lot from when they first debuted. A major aspect is that the music itself has evolved in terms of the the styles and new genres, and ways of performing on stage. When it comes to on stage performances, back in their day, lip syncing was the norm. Now, while it’s still acceptable under some situations, singing live is more suitable and there will be controversy if someone is caught saying they sang live but in actuality, didn’t. What lies ahead of the older generation idols is a challenge of fitting into today’s scope and what their fans are into, because it’s not 1999 anymore. While a stroll down memory lane is nice, blending with the times is more likely to make one successful and if you can’t keep up with the times, failure will definitely be in the future. On the show Handsome Boys of the 20th Century, Hee-jun and Tony of H.O.T, Danny of g.o.d., Ji-won from Sechs Kies, and Myung-Hoon of NRG talked about how the scene has transformed from the 90s until now. They mentioned how a meeting between them would never be possible (at one point all the groups were rivals with each other) and solo and subunits would have never happened since it would have made it look like a betrayal to the larger group. However, because current industry practice allows for a greater likelihood for companies to collaborate, the group HOTSechgodRG, or H.S.g.R for short, was formed and it’s even been doing promotional work as a unit and appearing on TV shows. And now that Tony is back, he will be making a return to the group, making a concert (one was planned, but then cancelled) highly possible. Sechs Kies and NRG may not be announcing a comeback any time soon if at all, but the assembly of its members along with g.o.d. and H.O.T, qualifies them for being a part of the trend that is happening now. But sometimes greed and money get the better of people. So what better way to get some quick and plentiful cash by having a comeback or reboot. Take a look at Hollywood. They run with a lot of themes: it’s been (insert milestone year here) since this has been out, let’s make a reboot: Jurassic World, Fuller House, Star Wars, Annie, The Fresh Prince of Bel Air. This seems to be popular, so let’s ride this wave: Fantastic Four, The Incredible Hulk, The Amazing Spiderman. Even the music industry is guilty of this: New Kids on the Block, Spice Girls, or Backstreet Boys anyone? What is happening within the K-pop industry can seem no different than what Hollywood regularly does. In doing reboots or comebacks, the interest of original fans is automatically captured. The fans are sold on the memories of reliving their childhood and will spend money just on the thought of nostalgia. In addition, not only do the returning groups have their attention, but the younger generation is going to wonder what their mom and dad are going crazy over. Thus, there is an expansion of the target group. There’s no need to even promote that much. Just a small whisper of ‘reunion’ or ‘comeback’ is enough to draw people in. The excitement is definitely in the air when idols or groups mention their return and announce a tour. Instantly, tickets are sold out in a short amount of time and even their concert destinations have grown. g.o.d., for example, after solidifying their dates, suddenly announced that their last tour location would be the US. Being one of the first groups I was introduced into, going to the concert was a dream come true. They sold me on a memory I believed could never happen. Who knows what the actual rhyme and reason is behind the sudden announcement of comebacks. Some can say the idols are in it for the craft and others for the money. Honestly, it’s a matter of a different outlook depending on the generation or even fan wars. 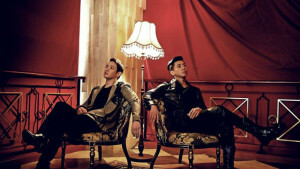 For example, since fangod and Changjo are usually not too fond of one another, the latter is more likely to think g.o.d. is in it for the money and cite the reason that Shinhwa has continually been doing music while g.o.d. had stopped for a period of time. For me? I personally believe in the notion of missing the industry and wanting to take up the challenge of trying to fit in with the generation of today. But I can’t deny the fact that money might be a contributing factor. Both ultimately are involved, but one outweighs the other. Those new into K-pop might have thought that the older generation of idols fizzed and faded out when their time came to an end. But now, they’re here to let you know that they’re back and they are here to stay.